Research & Teaching – Christine Mallinson, Ph.D. In this short podcast, “The Revelatory Power of Language,” which I produced for the Maryland Humanities Council’s “Humanities Connection” series, I talk about how language differences occur naturally and are part of how we define ourselves, individually and socially. Whether we drink soda or pop, whether we pronounce aunt as “ant” or “ahnt” and “Baltimore” as Bawlmer or Baldamor, whether we use isn’t or ain’t, language tells us something about who we are as speakers of the ever-changing English language. I am the co-author, with Dr. Anne H. Charity Hudley, of Understanding English Language Variation in U.S. Schools (2011) and We Do Language: English Language Variation in the Secondary English Classroom (2014). Anne and I also deliver a professional development series, “Language in the Classroom,” that brings researchers and educators together across grade levels and content areas to focus on language, culture, and education in classrooms and schools. I am also the co-editor of Data Collection in Sociolinguistics: Methods and Applications, with Drs. Becky Childs and Gerard Van Herk (second edition, 2018, Routledge) and the co-editor of Rural Voices: Language, Identity, and Social Change across Place (2018, Lexington Books). Some of my recent chapters have appeared in other book collections, including The Sage Handbook of Sociolinguistics and The Oxford Handbook of Sociolinguistics. In 2012, my entry “Sociolinguistics” was the #1 most-viewed of more than 50 bibliographies in the Linguistics division of Oxford Bibliographies. My CV provides a complete list of my publications and other research-related activities. From 2011-2014, my colleague Dr. Anne H. Charity Hudley and I recently completed an NSF sponsored research project, “Assessing the Results of Sociolinguistic Engagement with K-12 STEM Education in Maryland and Virginia Public and Independent Schools.” Working with 60 K-12 STEM educators from the Baltimore and Richmond areas, we studied how language plays a role in the educational challenges that can affect culturally and linguistically diverse students in STEM classrooms, focusing on the academic experiences of African-American students. Our research identified what sociolinguistic challenges are commonly faced by students in STEM settings and showed how these educators integrated information about language variation into their pedagogy and assessment. We also developed a website for STEM K-12 educators to share our findings and resources. We gratefully acknowledge the support of the NSF and the Developmental & Learning Sciences Program in funding this project. Read more about the project here. The project was approved by the William and Mary Human Subjects Committee and the UMBC Institutional Review Board. 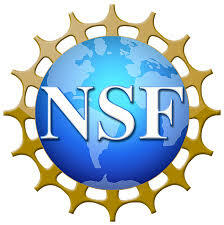 This material is based upon work supported by the National Science Foundation under Grant Number 1050938/ 1051056. Any opinions, findings, and conclusions or recommendations expressed in this material are those of the authors and do not necessarily reflect the views of the NSF. Language in Diverse Schools and Communities explores the intersections of language and culture, region, race/ethnicity, identity, and other social factors within the contexts of diverse communities and social institutions, especially schools. Throughout the semester, students are engaged in designing educational or other applied projects that bring the sociolinguistic knowledge they learned in the course to a variety of publics. In 2011, my students produced four podcasts on Baltimore language and culture, and in 2015, they produced a short film, “Voices of UMBC,” that highlights linguistic diversity on campus. In 2017, my students edited several Wikipedia pages about language diversity, including “Baltimore Accent“. Language, Gender, and Sexuality is designed to promote critical thinking about the relationship between language, gender, and sexuality and how language use mediates the social construction of gender and sexuality, in our daily practice and in our social institutions. Students learn how language, gender, and sexuality have been conceptualized and characterized in research from sociology, sociolinguistics, gender and women’s studies, education, and other related fields and disciplines. Students also learn to assess scholarly research from a variety of fields and disciplines on the role of language in the construction of gendered, sexual, and other identities and conduct original, empirical research about issues related to language, gender, and sexuality. From 2007 to 2017, I served as the (founding) associate editor of the pedagogical section “Teaching American Speech,” published in each summer issue of the journal American Speech since Summer 2008. “Teaching American Speech” includes full-length articles; briefer notes on course construction, assignments, evaluation, classroom technique, resources, etc. ; and reviews of relevant texts that attend to teaching about American speech in any of a number of settings. For more information, visit the Teaching American Speech Facebook page. I am also former moderator (and founder) of the Teaching Linguistics (TeachLing) listserv, which provides a place to discuss and distribute news on pedagogy, curriculum development, public engagement and outreach, and other issues related to teaching linguistics. Click here to join!